Meet Camille & Jacob Whiting. They love their Friday Night Date Nights. and...even better, they love sharing their ideas on their blog, Friday We're In Love. They created a collection of hilarious YouTube video clips to share with YOU for your next stay-at-home date night. The collection is free, clean, and funny! They also provided some awesome suggestions for dinner and a movie treat! Check out their blog post HERE and the YouTube Channel HERE. aww cute idea! like a little movie night! These article is one of the best article which i have never seen in my entire life.Thanks for posting such a wonderful article. 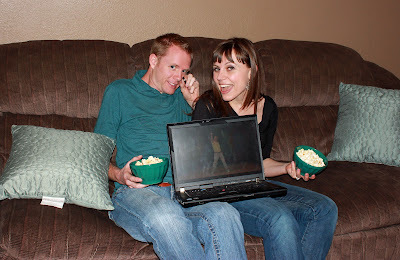 this is nice post about youtube date night i like it. really interesting I like this most. Aww, cute! Hopefully I'll get to meet someone from asian euro dating sites to spend the night like this also! Did you know that you can get them AUTOMATICALLY AND ABSOLUTELY FREE by getting an account on You Like Hits?